With the increased public demand for vehicles that are spacious in design but contain smaller profiles, the crossover SUV segment is booming. In general, a crossover offers the function of an SUV, but it provides improved gas mileage over a conventional SUV and a car-like feel on the road. Crossover SUVs are attractive, especially to the senior population. They often provide a design with increased visibility and a host of safety features that accommodate physical limitations. For example, items like a rear-backup camera and a blind spot detection system make it easier to see in all directions. Many of these vehicles have front seats that can be positioned to fit drivers who have difficulties entering and exiting automobiles as well. If you are approaching your golden years, you want a vehicle that fits your needs. If you are in the market for a new vehicle, here are four of the best crossover SUVs to consider. The 2017 Subaru Forester is a smart investment, especially if you are an older consumer. Thanks to its spacious interior, there is plenty of room for drivers who have trouble getting comfortable on the road. Also, the Forester is designed with large windows, which provide excellent visibility. Most of these vehicles come with a 2.5-liter engine, which delivers 170 horsepower. Base models are equipped with a choice of a six-speed manual or a CVT transmission. It handles well on the road, and AWD is standard. This means that it drives well in all types of weather conditions. You’ll also appreciate the safety features available in this crossover. The Forester has repeatedly been an IIHS Safety Pick with its numerous included airbags, break assist, and a rear-view camera. The Eyesight tech package is especially attractive for older individuals. For a better view, it offers color cameras, blind spot detection, rear-cross traffic alert, and lane keep assist. The infotainment system includes a large touchscreen and features phone and audio connectivity. The biggest positives of the 2017 Forester are the roomy interior, comfortable seating, and improved fuel efficiency. 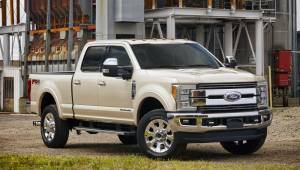 The 2017 model enjoys a slight boost in fuel economy. The base model provides a generous 26 mph in the city and 32 mpg on the highway. Additionally, this vehicle handles well and offers solid acceleration. The interior materials are a bit disappointing, but its performance and safety features outweigh the minor cosmetic problems. The 2017 Honda CRV was totally redesigned and features an abundance of style, space, and technology. As a senior, you will appreciate the standard features, which include a backup camera and power exterior mirror. Keyless entry is a bonus that eliminates the need to fumble for keys. The base model comes with a 2.4-liter engine that pumps out 184 horsepower. For more power, higher trim levels offer an optional turbocharged engine with a loss in fuel efficiency. In the crossover segment, the CRV is one of the easiest to handle, with responsive breaks and a notably smooth ride. The low step-in height is also a blessing, especially if you have trouble getting in and out of taller vehicles. Also, the hands-free power liftgate makes it easy to load the back without much effort. Inside the CRV, you’ll find the HondaLink infotainment system. The rotary volume knob makes things easier to control, especially for individuals who are not familiar with touchscreen technology. This vehicle is filled with safety functions, including a rear-cross traffic alert, automatic high-beams, and a driver attention monitor. The CRV is one of the most fuel-efficient crossovers on the market. Fuel ratings are estimated to reach 27 mph in the city and 33 mpg on the highway. When you are on a limited budget, this will help you save money at the pumps. 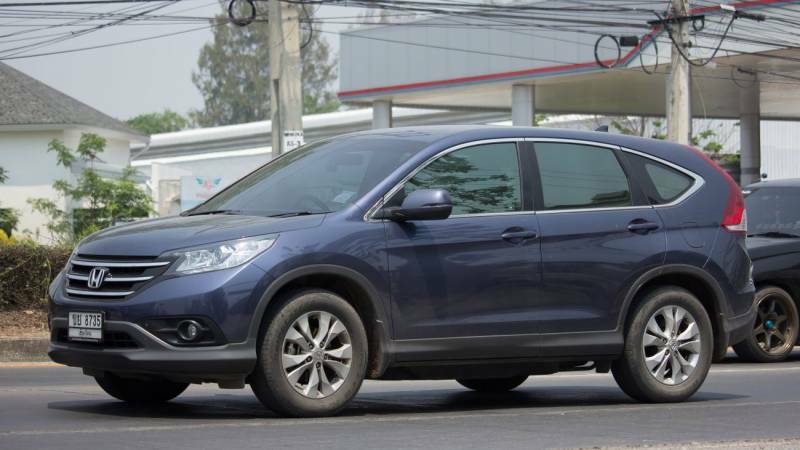 The CRV’s overall design is quite attractive and comfortable, featuring many modern design attributes while preserving the classic look of the vehicle. The large amount of cargo space and interior room make it a top choice. Although, the fuel economy is impressive for vehicles of its class, there is not a hybrid version available. The Hyundai Tuscon is one of the most affordable crossovers in the industry. 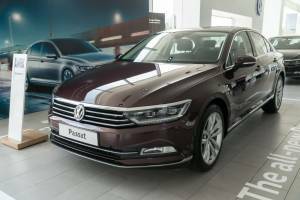 It is an excellent choice when you want a vehicle with roominess and numerous safety features. Its low door threshold makes it easy to enter and exit, and it comes with a 100,000 mile power train warranty. This means that you won’t have to worry about expensive repairs in the event of excessive wear and tear. When it comes to performance, the Tuscon is sure to please. It has a 2.0-liter engine with a six-speed automatic transmission and 164 horsepower output. Thanks to the soft suspension and sporty handling, bumps on the road are never problems. Hyundai’s Tuscon is packed with impressive safety features. It scored a five-star rating from the National Highway Traffic Safety Administration. For its class, the Tuscon receives above-average fuel economy. The base is estimated at 23 mpg in the city and 30 mpg on the highway. You will be hard pressed to match this efficiency in a crossover. If you are an older individual, you are sure to want a safe and reliable vehicle to drive. The Tuscon has competitive features and receives good fuel economy. Even though its interior materials are not luxurious, it brings value and versatility to your ride. Mazda’s CX-5 may be the ideal crossover choice for an older buyer. It’s been redesigned with a sporty look and a refined interior. With its 2.5-liter engine, you receive 187 horsepower. Thanks to the six-speed automatic transmission, shifting is extremely smooth as well. Its new suspension improves the comfort on the road, and its G-Vectoring Control keeps the CX-5 balanced while steering around corners. Inside, the standard seats feel supportive, but the Touring trim provides power lumbar adjustment for drivers who need the extra support. Visibility is very clear from the front and the sides so that you always have a solid view of the road. Getting into the automobile is simple because the doors open wider than other SUVs, which makes it easy for older drivers to enter and exit with ease. With the standard engine option, the CX-5 is estimated to achieve 24 mpg in the city and 31 mpg on the highway. Although this is a slight drop from previous model years, you will not need to waste your time and money at the pumps. The CX-5 provides an enjoyable drive on the road. It steers well and offers a quiet ride on the noisy highways. Inside, you will enjoy its upscale interior. It may not be as powerful as other crossovers on the market, but its numerous features make it an attractive option for senior consumers. As an older driver, it is essential to find a vehicle that fits your needs. Since crossovers provide the function of a larger SUV with the handling of a smaller car, they are the ideal segment to consider. The above automobiles top the list and offer a variety of features that make them attractive. Hopefully, you will be able to compare the options and make an informed buying decision.